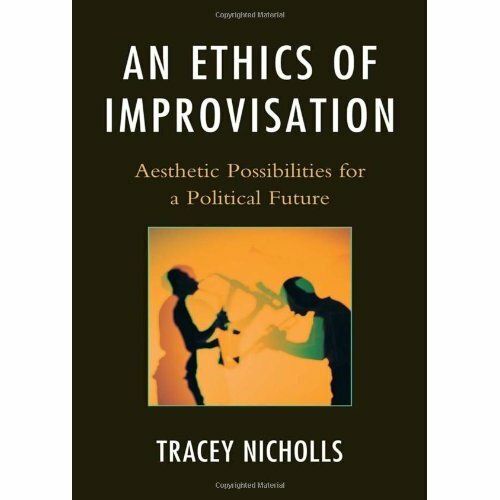 An Ethics of Improvisation takes up the puzzles and lessons of improvised music in order to theorize the building blocks of a politically just society. The investigation of what politics can learn from the people who perform and listen to musical improvisation begins with an examination of current social discourses about “the political” and an account of what social justice could look like. From there, the book considers what a politically just society’s obligations are to people who do not want to be part of the political community, establishing respect for difference as a fundamental principle of social interaction. What this respect for difference entails when applied to questions of the aesthetic value of music is aesthetic pluralism, the book argues. Improvised jazz, in particular, embodies different values than those of the Western classical tradition, and must be judged on its on terms if it is to be respected. Having established the need for aesthetic pluralism in order to respect the diversity of musical traditions, the argument turns back to political theory, and considers what distinct resources improvisation theory—the theorizing of the social context in which musical improvisation takes place—has to offer established political philosophy discourses of deliberative democracy and the politics of recognition—already themselves grounded in a respect for difference. This strand of the argument takes up the challenge, familiar to peace studies, of creative ways to rebuild fractured civil societies. Throughout all of these intertwined discussions, various behaviors, practices, and value-commitments are identified as constituent parts of the “ethics of improvisation” that is articulated in the final chapter as the strategy through which individuals can collaboratively build responsive democratic communities.